My living room mantel tends to stay the same, season after season--except for Christmas. Christmas changes everything! I don't usually do seasonal mantelscapes other than for Christmas. 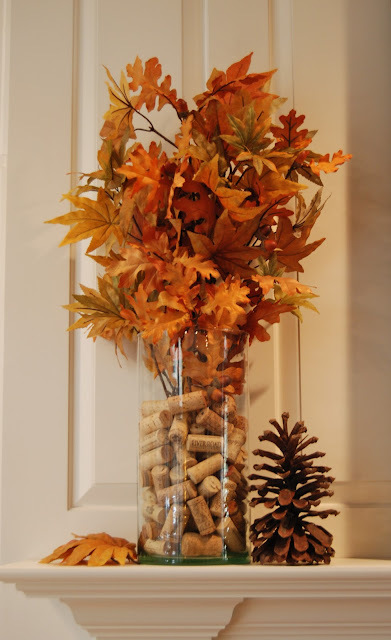 Fall leaves in a vase filled with wine corks. Plus a giant pine cone. Our yard is full of pine cones, but this is the only giant one I've ever found. Not sure how it got in my yard, but I like it! We'll be lighting the fire soon, but for now the hearth is warmed up a bit with a few fallish elements. 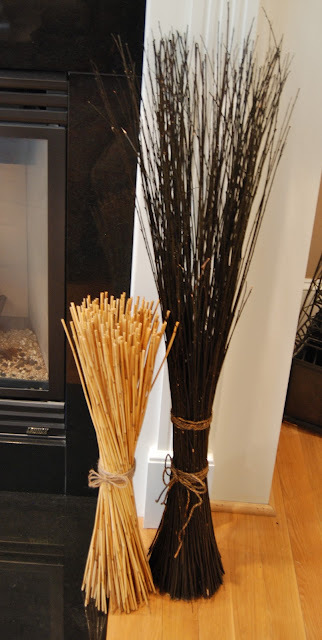 These bundles of sticks remind me of sheaves of grain. So far, though, they've mostly ended up as a playthings for my 15-year-old as he sits in the club chair to watch NFL. One stalk at a time, my sheaves are dwindling. Oh, well. I'd rather have the boy than the sticks. Nice mantle I love the wine corks in the jar. Your comment about your son playing with the sticks makes me LOL, my boys do the same thing! Too funny! I enjoy changing mine often ... at least once a season or more. Love your mantel. 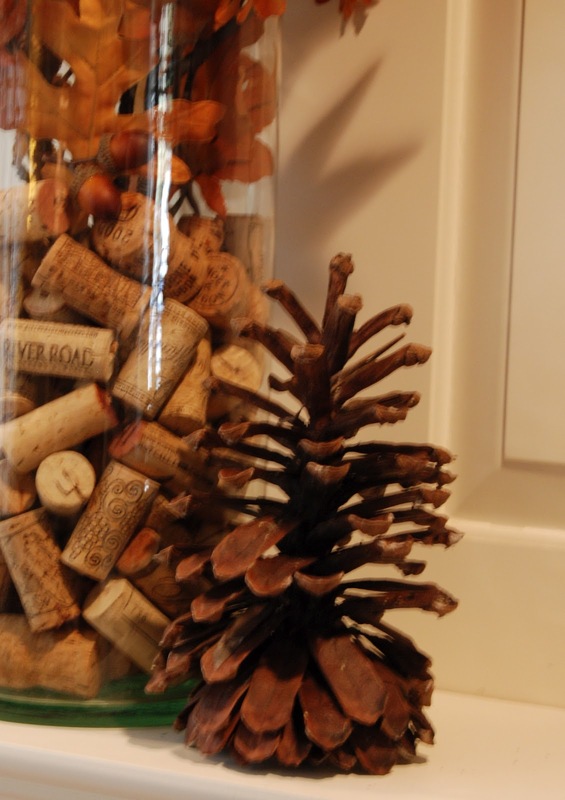 Now I have an idea for all of the wine corks I've been saving. Thanks for sharing. So pretty! I love fall decorating and I haven't even done it yet! Beautiful mantle decor and pinecone Richella. I agree, simple is best for me these days as well. Your mantel looks great! I don't do much changing around, either, except for Christmas. I change out just a few things and call it done. Perfect! I do love that giant pinecone! And even more knowing it came from your own backyard! Love the "nod" to fall. Very very nice. 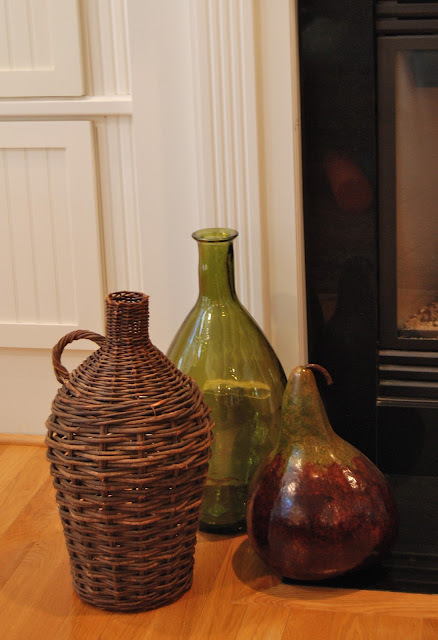 That pear shaped gourd on the hearth is beautiful! 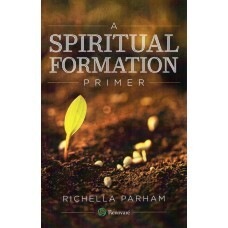 Beautiful and simple, Richella. I love the touch of the corks!